See how WellnessFX is helping people just like you achieve their health goals, from weight loss to disease prevention and disruption. All of these stories have one thing in common - each person had the desire to take their health into their own hands. 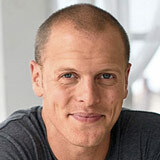 Tim Ferriss is a New York Times bestselling author, entrepreneur, and biohacking pioneer. In his ongoing journey of self-experimentation, Tim uses WellnessFX to optimize hormone and metabolic function to achieve peak performance. 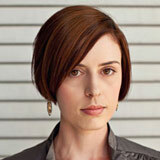 Natalie led a mostly sedentary lifestyle until her weight gain caught up with her. She has since made some dramatic diet, exercise, and environmental changes and uses WellnessFX's intuitive dashboard to track and assess her progress. Drina is a former triathlete and current health nut who was sure her biomarkers were going to reflect the way she felt - healthy and fit. 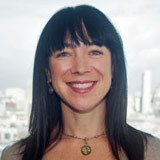 That's why she was shocked to find her LDL or "bad" cholesterol in the high risk category. Using WellnessFX, Drina uncovered the reason for the spike in cholesterol and lowered her levels within six months. After losing more than 100 pounds through diet and exercise, Noel was able to shed the last 15 by taking advice from one of WellnessFX's licensed practitioners. Together, they created a diet plan that incorporated more protein and smaller meals throughout the day to address her low blood sugar issues. In addition to weight loss, she's improved her sleep quality and energy levels! 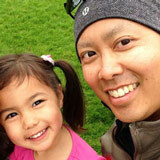 Ping was a vibrant executive and new father when he was diagnosed with stage 2 Hodgkin's Lymphoma. After battling the disease with chemotherapy and radiation, he was faced with the challenge of healing from treatment. Using WellnessFX, Ping took his recovery into his own hands by keeping track of his inflammation and cortisol levels.